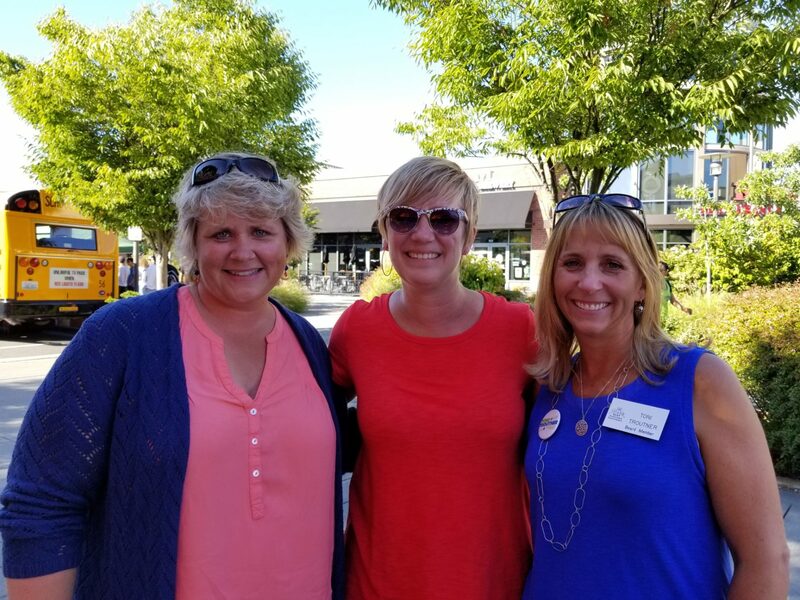 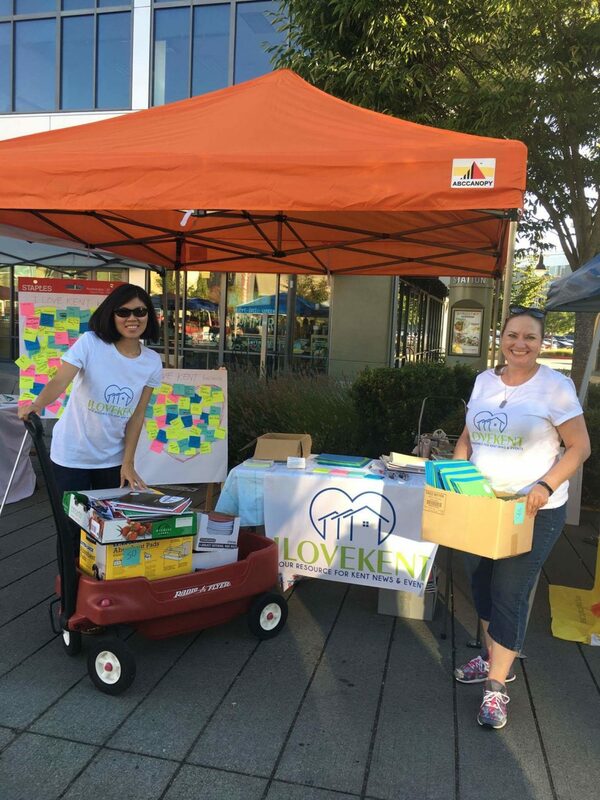 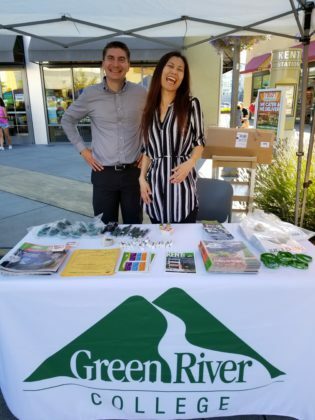 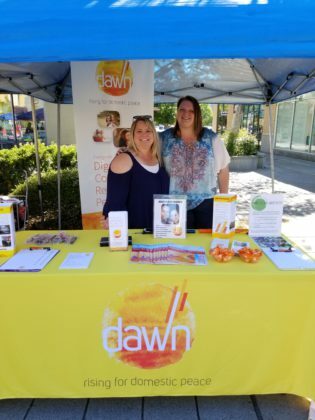 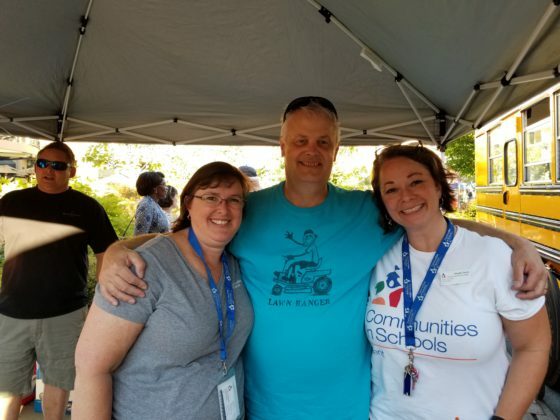 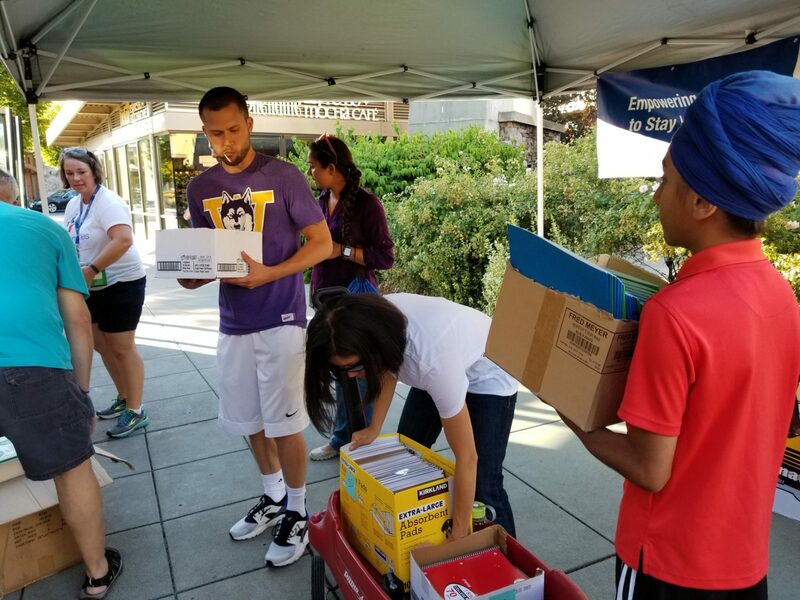 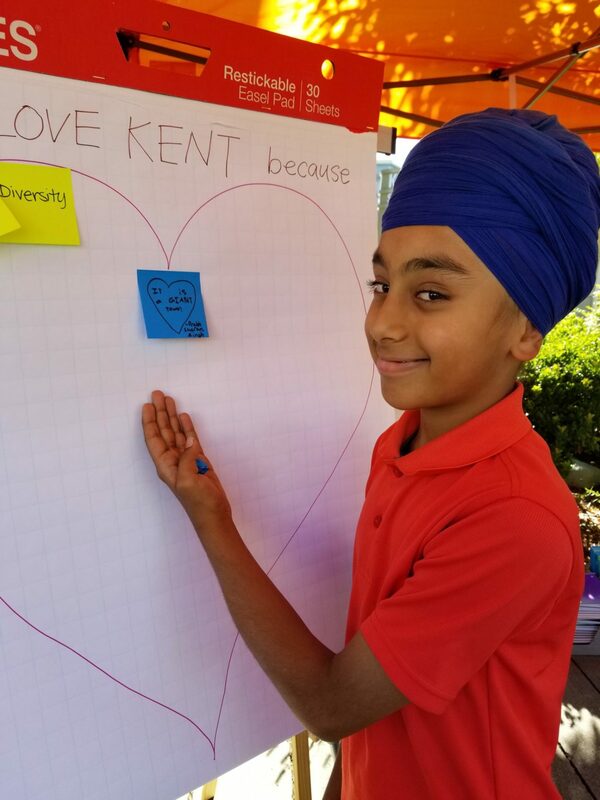 In August, we participated in Kent Station‘s annual back-to-school event SOAKS and fundraiser for Communities in Schools Kent‘s ‘Fill the Bus’ school supply drive. 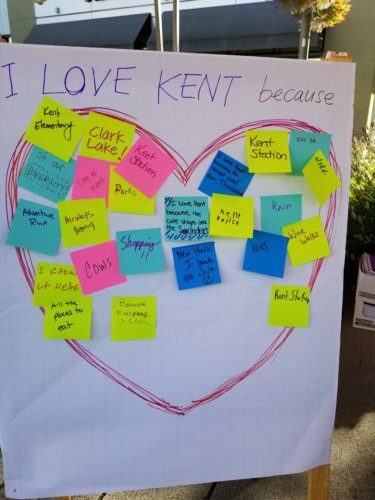 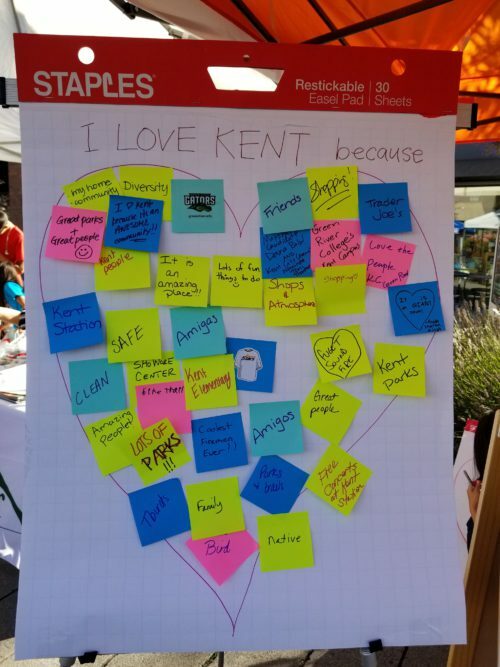 More than 100 people stopped by our booth and told us why they loved Kent. 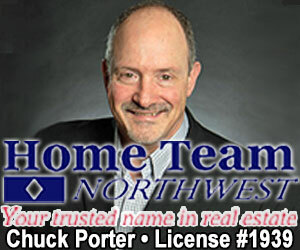 We thought it would be fun to share their answers with you. 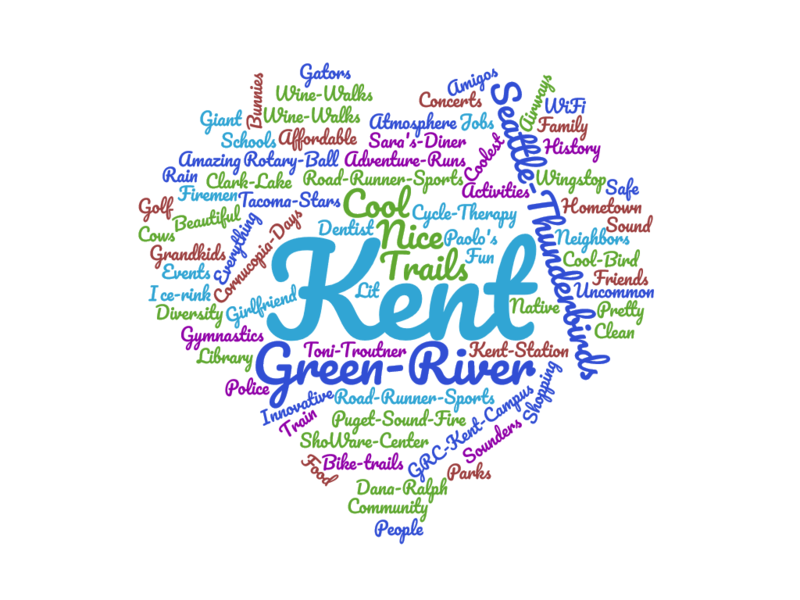 Here’s a word cloud we put together with some of your reasons for loving Kent. 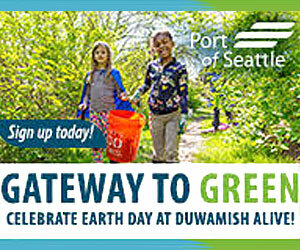 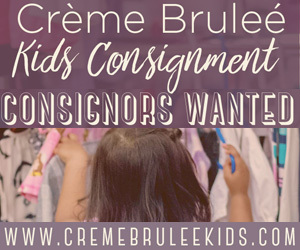 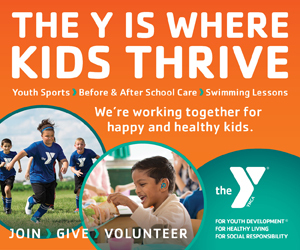 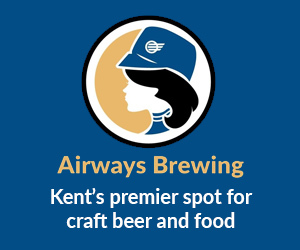 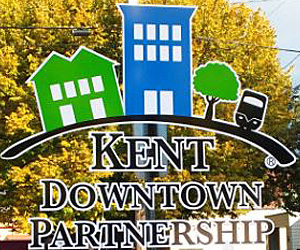 May items came up more than once – people, diversity, Kent Station, Kent schools, Adventure Runs, Kent parks and trails, to name a few. 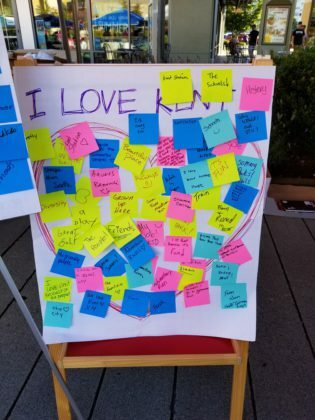 Below the cloud, we’ve created a photo gallery in case you missed the event. 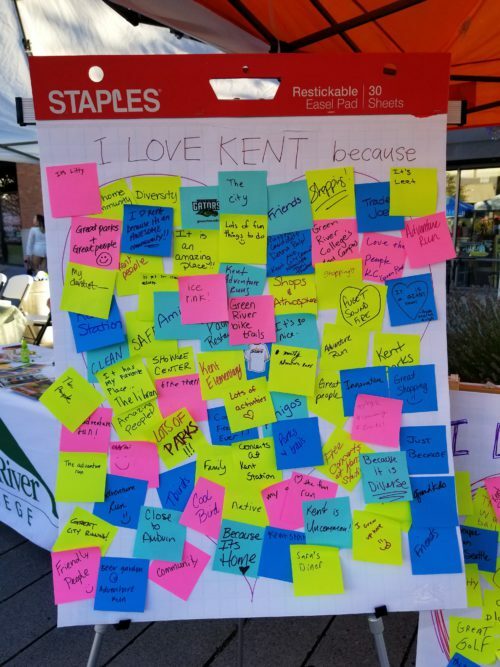 We can’t wait til next year! 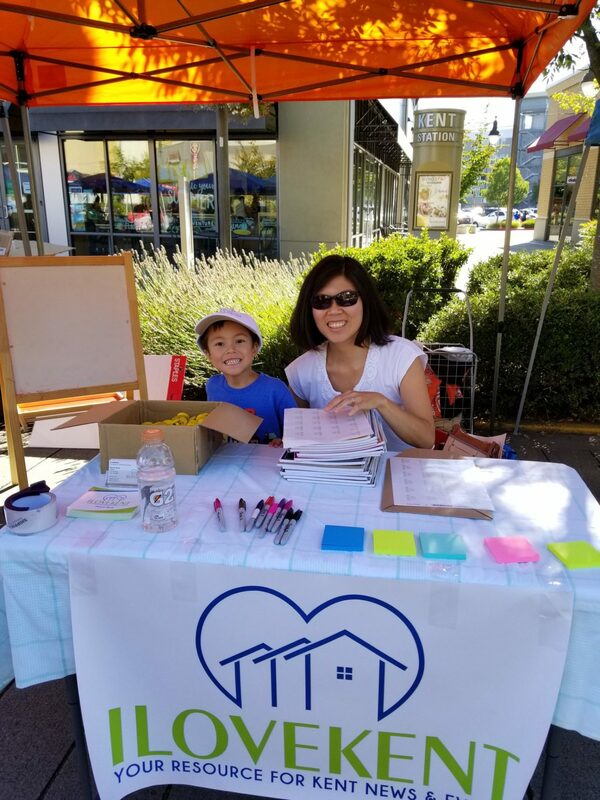 Lynn Cheng and her son Alexander were a huge help at our SOAKS booth. 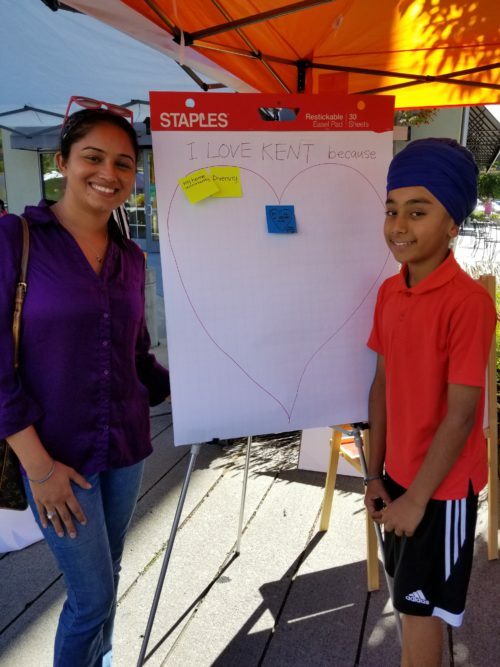 Satwinder Kaur and her son were the first to stop by. 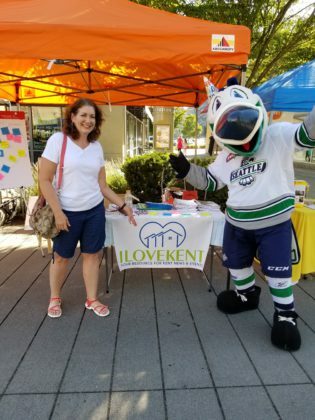 We are always happy to meet fans including Lisa and Cool Bird. 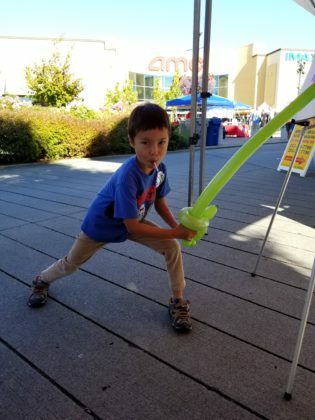 Alexander had a great time at SOAKS. 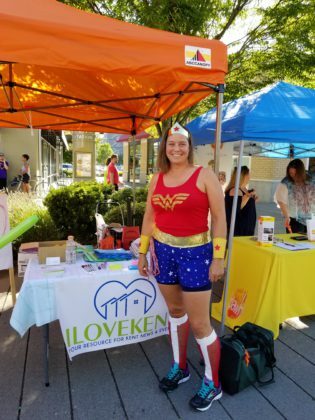 Wonder Woman stopped by to say hello. 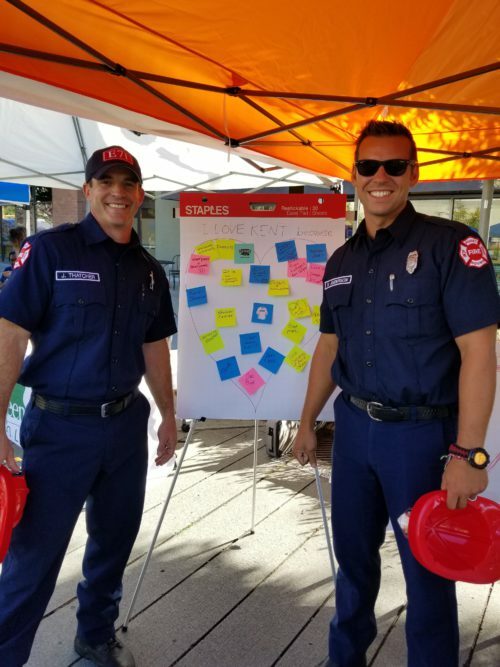 Thanks, Puget Sound Fire, for contributing to our heart.